My name is Indiana Jones, Indy for short. I live in a small Oklahoma town with my sister Lucy (actually cousin) who is eight weeks younger than me. I was first dog. Our parents are retired so they are able to give us the round the clock attention which we require; it is the Scottie way. I am a Mama’s Boy and proud of it. Sister, on the other hand, loves anyone who will throw her ball or whatever she wants to fetch at any given moment. We spend our days chasing squirrels, watching for the mailman, and performing perimeter checks of our territory when we aren’t going on road trips with the folks. We hope you enjoy your time with us; come back to visit often. We are so happy to find your blog. We love all of your Facebook posts and your mom’s reviews of books and movies. Thanks. Mom has been working on it and just got it up and running. Hi Indy and Lucy! We just stumbled across your blog – glad to see you’ve joined the blogosphere. Much love from your friends Heather, Mr. K and Scottie Mom! Yeah, Mom doesn’t have enough room on FB to record all our stuff. BOL. Your wedding pics were gorgeous. Hi there! Thank you for following Jacques’ Dog Blog! We are in Oklahoma too… What a small world! We look forward to catching up on your posts and reading all of your new adventures. Right now we’re in Seminole (20ish miles east of Shawnee). I’m original from OKC/Norman. My husband is from Stillwater. Where are you? We are in Henryetta right down I 40. This is also our hometown. How’d I only just now find your blog????? ArrOOOOO! 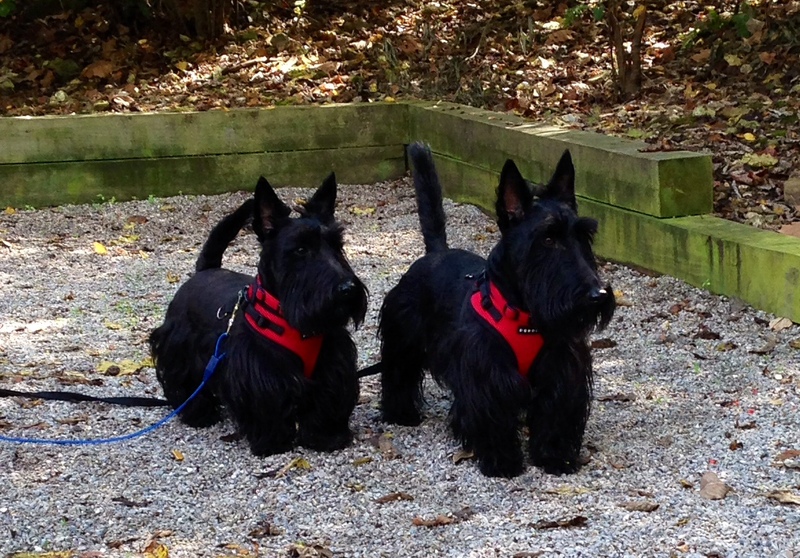 Hi there, Indy and Lucy – We are 2 boy scotties and a female schnauzer living in Nebraska. We love reading about adventures of scotties and schnauzers. You seem like you have a lot of fun and we will watch your antics through your blog. Thanks! Hi. Glad to meet you. Wanted to send a few more pictures of Deb during harvest. Could you tell me hoe to get them to you. When I use the above email it won’t let me send them. Thanks for yesterday, it was so much fun. You can’t send a picture to the blog but you can post to the kid’s FB page under the comments where the blog is posted. I will post that blog this evening.